...in the main square of the nearby town of Ploërmel. Looks like they have most of the bases covered. Also looks inviting. 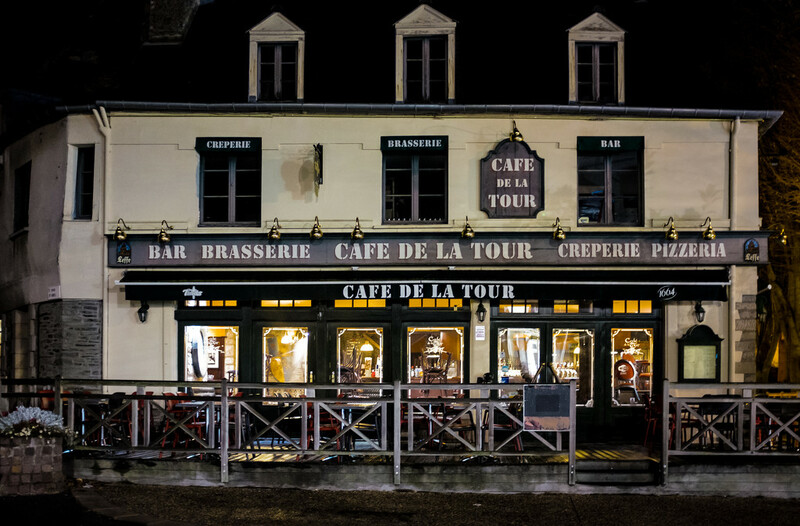 Nice night capture of this café...It looks welcoming with the lit up windows. This looks so typical of many French Creperie's, so inviting. Lovely old building, so good to see it still in use like that. what a great old building! Sure does look inviting... I would want to go inside if I were passing. Could 'eateries' become your new theme? @yrhenwr Now there's a thought! @jgpittenger Interestingly, it always makes me feel that way too! That looks so inviting. I'd love to pop in and sample their crepes. Love the light in the windows. Great night shot.